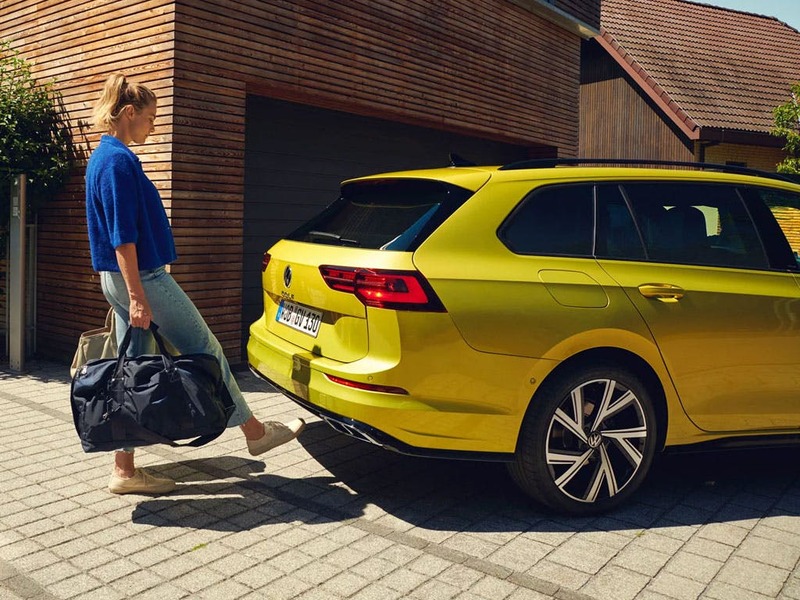 Using the classic sporty design of the Golf to make a utility driven family vehicle, the new VW Golf Estate has a range of powerful engines - the strongest being the 2.0-litre petrol auto model which can reach speeds of up to 155mph. Mixing useful technologies and a pleasant interior, this car is great for family use. Every detail matters, view the New Volkswagen Golf Estate technical specification. Download the latest New Golf Estate brochure. 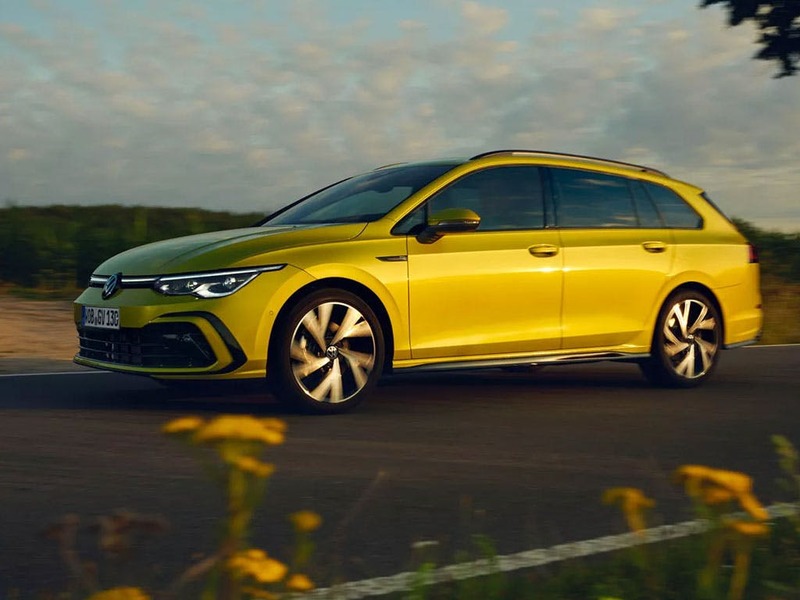 The new VW Golf Estate is a highly functional take on a popular model. The sloped bonnet bends down to a grille with a single chrome line, met with two imposing headlights. The low bumper creates a much lower stance, pairing with the grille and lights to enhance the athletic style. 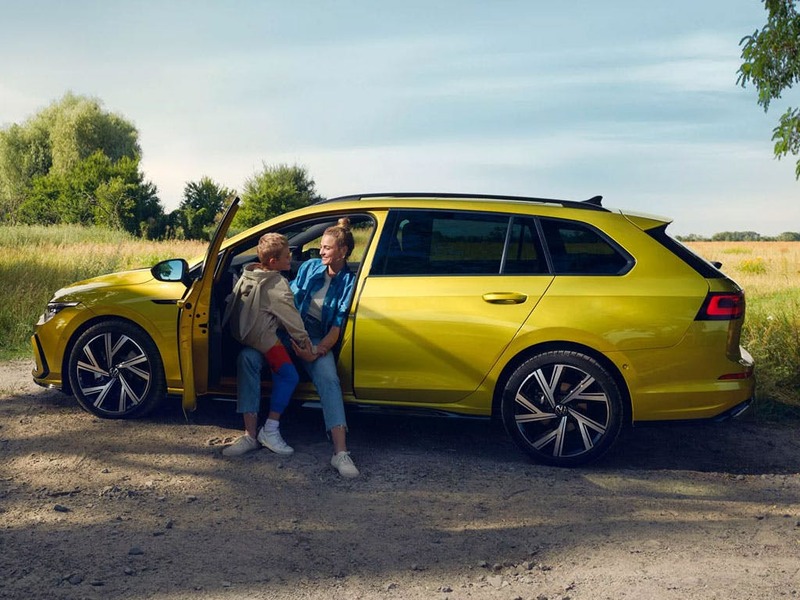 Alloy wheels add a luxurious splash of style whilst the roof rails remind you of the functionality, whilst the longer design creates much more room for everyone inside. 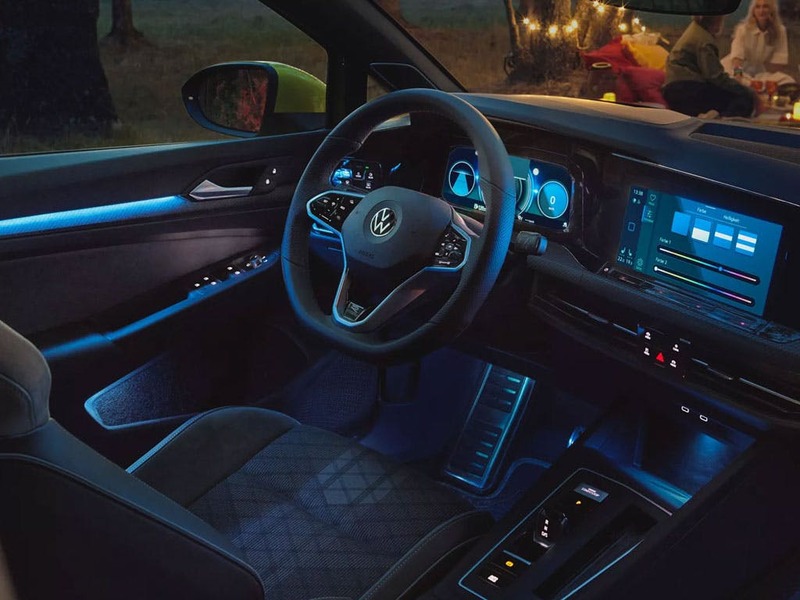 The inside of the new VW Golf Estate offers more than enough room for four passengers with ample head and legroom. The boot has 605 litres of storage, letting you take your whole family on your weekly shop. 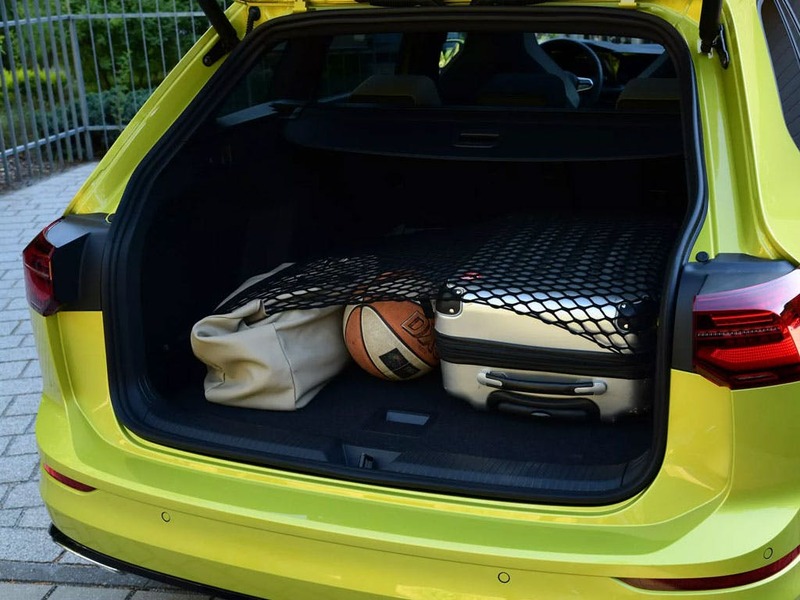 With the rear seats folded, the storage capacity more than doubles to 1,620 litres. ‘Bella’ black cloth seat upholstery is standard, whilst a sports honeycomb cloth upholstery is optional for ‘GTD’ models. 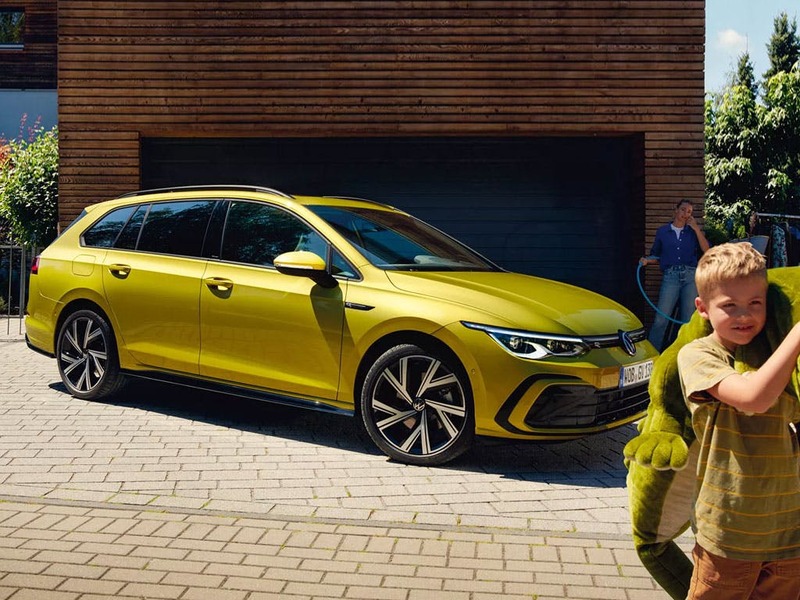 If you're looking for something with more height than the Estate the new Golf SV may be the new car you're looking for. A Composition Media system is standard, letting you listen to the radio. A CD player is located in the glovebox, whilst the system features AUX-in capabilities and an SD card slot. Driver Profile Selection lets you choose exactly how to want to drive your car - you can change from an efficient style to a more performance driven one. An optional Active Info Display replaces the speed and rev meters with a customisable digital display. 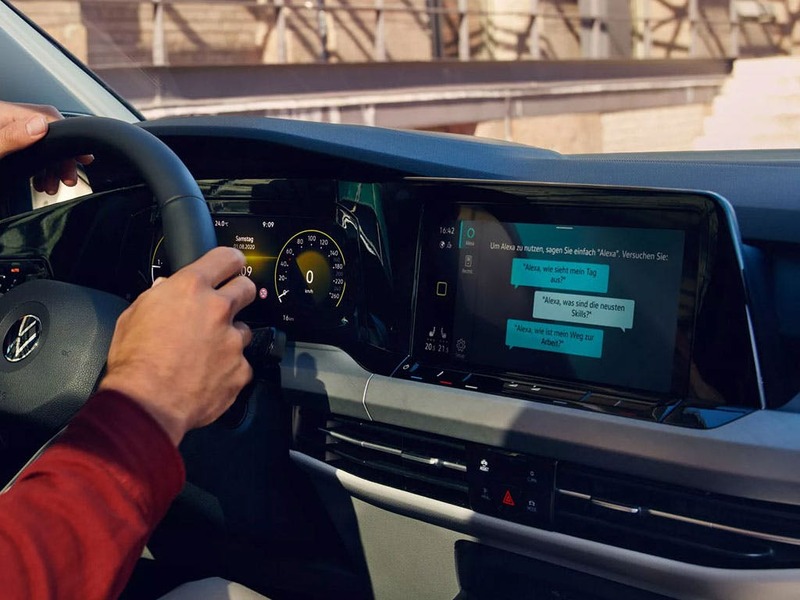 Various safety systems actively work to keep you safe when driving, from helpful additions like cameras to life-saving systems like an automatic emergency brake. An optional Blind Spot Sensor alerts you of cars in your blind spot whilst the Rear Traffic Alert looks out for you when reversing. 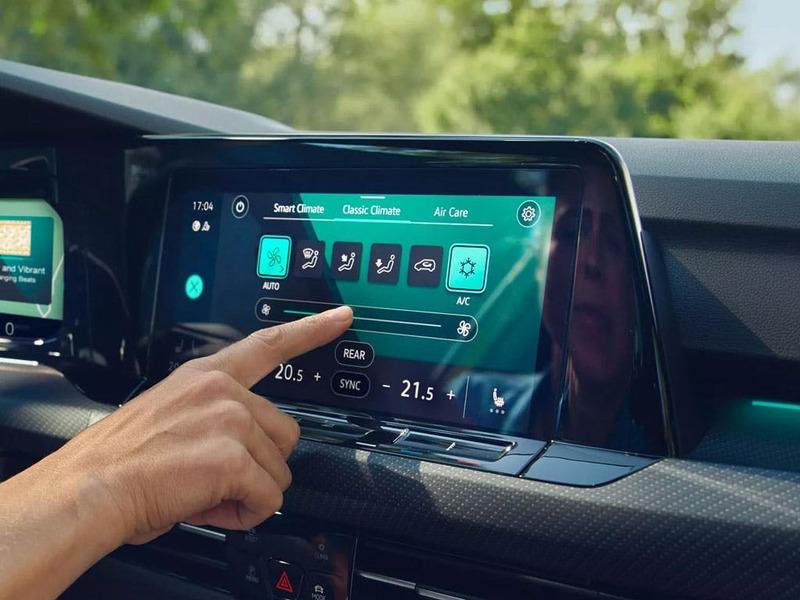 Included on ‘SE’ models and higher, Adaptive Cruise Control maintains a constant distance from the car in front of you, accelerating to keep up and braking to back off. Experience the new VW Golf Estate for yourself by booking a test drive at your local Volkswagen dealership in Kent. 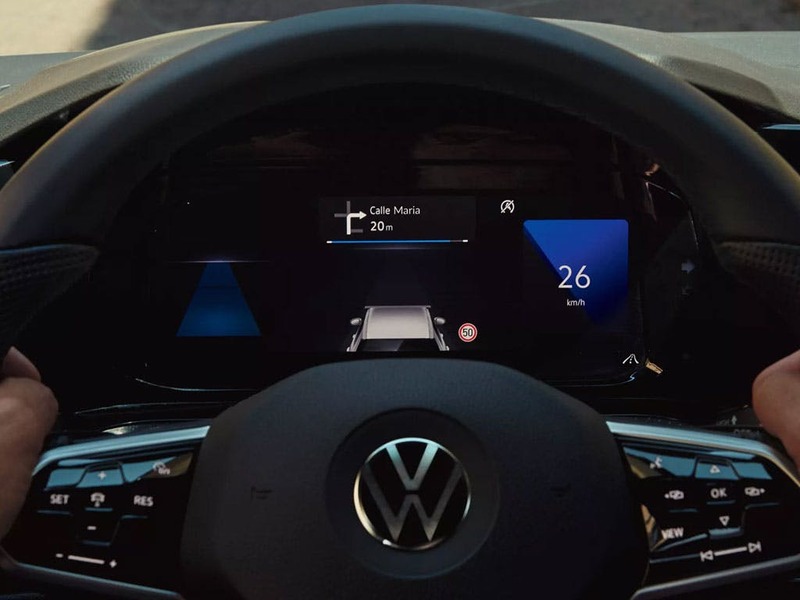 If you’re looking for more information about the VW Golf range or want to discuss the best purchasing options available for you, visit your local dealership or call us to speak to a friendly member of the Beadles Volkswagen team who will be on hand to help answer your enquiries. of customers that bought an Volkswagen Golf Estate would recommend to their friends and family. Beadles Volkswagen Maidstone were great because, The Sales team, listened to my wants and needs.... offered choices and were very patient throughout the process. Excellent customer focus and service. I'd recommend Beadles Volkswagen Bromley because great staff and attitude. Not pushy. 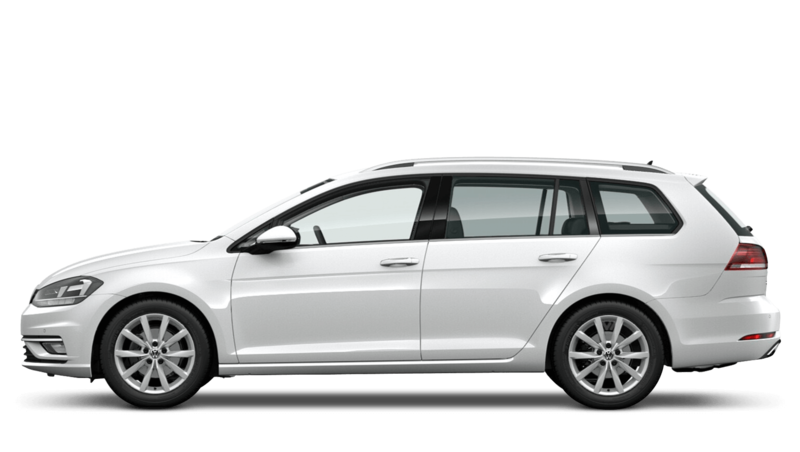 Explore the New Golf Estate specifications.